Note this manual may contains technical terms and this manual is intended for educational purpose only. Potential Reversal Zone (PRZ) is an area where 3 or more Fibonacci numbers converges. When several layers of Fibonacci level are stacked up near to each other, this area should be treated very carefully. Using classic definition of support and resistance, this condensed area can act as both highly probable trend reversal area or as highly probable breakout area. In the picture below, area A act as a trend reversal area and area B act as a breakout area (trend continuation). Understanding this basic rules, you can use PRZ for many different purpose in your art of Harmonic Pattern trading. PRZ can be used to confirm the last point D in your harmonic Pattern. Also this PRZ can be used to place your stop loss or trail your stops or take profit targets. 4. Future Price projection (CD). For beginners in Harmonic Pattern Trading, name of points and each leg is shown in the picture below. 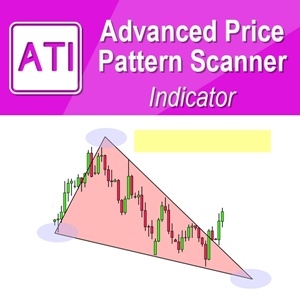 For Harmonic Pattern, the most of patterns will start from point X except ABCD pattern and few others. At point D, traders need to make entry decision. Drawing complete Fibonacci retracement levels from all four legs can make your chart extremely complicated to interpret and it impossible to do manually. 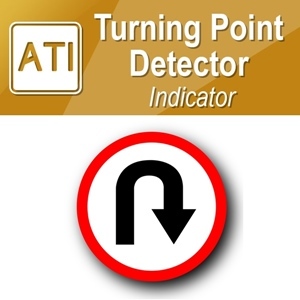 You can only achieve these advanced features through the fully automatic software. 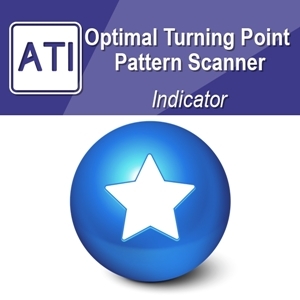 In Harmonic Pattern Plus, you can detect all essential PRZ Levels automatically. You do not even have to worry about to click any buttons because it is fully automatic from default setting. 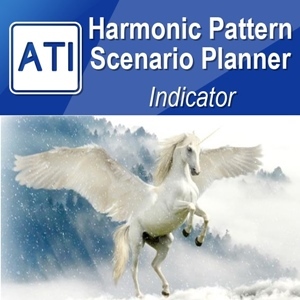 In Harmonic Pattern Plus (and in Scenario Planner), you have an option to use two type of PRZ levels. First one is the PRZ Type A and second one is the PRZ Type B. PRZ Type A is used to predict the final point D whereas PRZ Type B can be used to predict the price movement after the final point D. Once the final point D is detected, you will use more PRZ Type B to predict the price movement further. At both PRZ levels, you will find that price move extremely well predicted. Knowing the position of the PRZ level can provide you the countless advantages for your trading. Figure 3, 4 and 5 provide some example of breakout and reversal prediction using PRZ Type A and PRZ Type B. 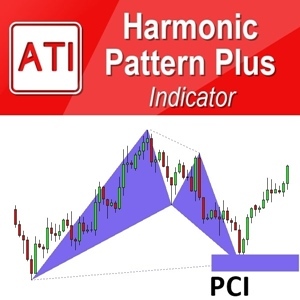 Once you entered the buy or sell position after the formation of Harmonic Pattern. You should monitor the price action around the PRZ Type B levels to manage your positions. When you want to study the effect of PRZ levels, you can simply use harmonic pattern plus for it. Just press << or >> button to see previous or next harmonic patterns with full PRZ levels. Through this backtesting, you will be able to gain some ideas on how to use these PRZ levels for your trading. If your trading style does not require using PRZ levels, then simply switch off them from your chart. To do so just visit the input setting. Set the PRZ Type A and PRZ Type B = false. Then you will not see these PRZ levels in your chart. To make living on trading is exciting when you know how to trade. However, when you don’t know how to trade or you are not disciplined yet, we recommend you to practice your trading skills on paper trading only. Here we provide important tips to improve your trading skills in fast track. While you are backtesting PRZ ideas with Harmonic Pattern plus, remember these important tips always. 1. Take profit and stop loss target must be clearly drawn in your head before trade. 4. Know how market spread, ask and bid prices can affect your live trading. These will affect more if you trade with small patterns and smaller time frame but relatively less for large patterns and larger time frame. MT4 chart will show bid price as default on your chart. So sometimes you might see that pending order become market order even if the price don’t touch your pending order open price or your stop loss hit even before price move to your stop loss price. Note that position sizing can add some extra work for your trading. However, never skip this procedure. You can use this Order Risk Management tool to do this task for automated calculation of your lot size and order sending. This tools is free of charge and anyone can use it. If you need more advanced version of Order Risk Management, then please use Order Risk Panel Pro. 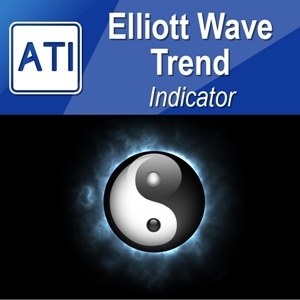 In Order Risk Panel Pro, you have the Harmonic Volatility Indicator to help your trading. You can also calculate your trading statistics. Calculating trading statistics is important to diagnose your survival ability in your financial trading.